Okay, so what is DIBELS? It is an acronym standing for Dynamic Indicators of Basic Early Literacy Skills. 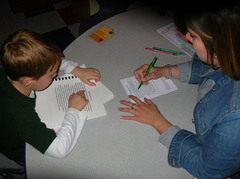 It is simply an early literacy screening instrument to determine children who may be at-risk for literacy problems. It is a series of short tests given to children in kindergarten through grade five to monitor and screen their progress in learning some of the necessary skills to become successful readers. Dynamic Indicators of Early Literacy Skills is not a perfect literacy test or some magic wand that instantly cures all reading problems. Nor is it an assessment that ruins and controls the school lives of children as some would want you to believe. The word “DIBELS” can cause this type of polarizing debate which is unfortunate and unnecessary. The people who get caught up in this debate are truly missing the point! The truth of the matter is when USED CORRECTLY, DIBELS can be an effective part of a school’s literacy program. Assessments or screenings do not teach kids how to read. Duh! No one worth their salt would ever debate the merits of early reading intervention. 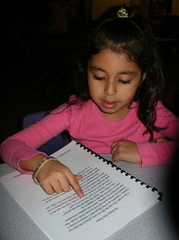 Effective reading programs determine the skills our kids need and ensure these skills are developed. Using DIBELS, one can effectively measures Phonemic Awareness, Alphabetic Principle, and Oral Reading Fluency; all very important early literacy skills. Anyone who debates that these skills are not important is contradicting mountains of research stating otherwise. Susan Hall is right on target! We must use early literacy assessment instruments to help us in our educational decision making. We can defeat specific learning disabilities if we do this. I have seen too many people become very critical of assessments like DIBELS because of their misuse. Drilling and killing nonsense words or asking children to read as fast as they can to improve scores is not the intent of the instrument. Later, I will discuss potential pitfalls that should be avoided when using the DIBELS assessment but for now, know that Katie and I are fans of its proper use! In 2010, the University of Oregon released an updated version of DIBELS 6th Edition called DIBELS Next. Schools now have the choice of using the original 6th Edition or the revised version.Our school district made the move to DIBELS Next. We've used DIBELS Next since the 2011-2012 school year. While we like the replacement of the kindergarten Initial Sound Fluency (ISF) measure with a much improved First Sound Fluency (FSF) measure, Katie and I both like the 6th Edition over DIBELS Next. DIBELS Next Presentation - Why the New Recommended Goals? Progress monitoring is a practice that helps teachers use student performance data to continually evaluate the effectiveness of their teaching and make informed instructional decisions. The teacher determines a students' current performance on skills that the student will be learning, identifies achievement goals that the student needs to reach by the end of the year, and establishes the rate of progress the student must make to meet those goals. 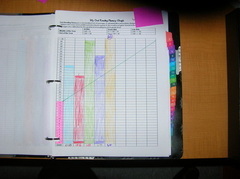 The teacher then measures the students' academic progress regularly (weekly, biweekly, or monthly) using probes. Each probe samples the entire range of skills that the student must learn by the end of the year, rather than just the particular skills a teacher may be teaching that week or month. The teacher graphs a trajectory line between the student's initial level of performance on a specific skills and the end-year goal. Then the student plots the level of performance as each probe is administered. After noting the pattern of progress, the teacher can adjust instruction to improve student learning. If a student's performance falls below the line, the teacher may use more intense instruction (in small groups or one-on-one), reteach the materials, or provide additional opportunities for the student to practice certain skills. For an in-depth look on Using Data to Improve Student Achievement﻿ and how to effectively progress monitor, check out Katie's above link!